vCDM is the database-supported platform for calibration teams. Work results are efficiently merged, and potential data conflicts are avoided or detected and resolved. All data changes are seamlessly tracked. A large number of variants can be controlled by meta data, organization of dependencies, components, automatic calculation of parameter value and re-use of work packages. Datasets are consistent and have high data quality. Data mining and report functions improve the quality and efficiency of your processes. Calibration data is graphically displayed and manually processed with the proven vCDMstudio editor as a powerful work environment for the calibrator. Data can immediately be merged after they are imported into vCDM. You can also import data from CANape into vCDM, if CANape devices and datasets are not linked to vCDM. Data can be exported to component libraries or to a project inbox. The RAM/Flash address conversion is better coordinated between vCDM and CANape. Parameter sets, HEX, A2L and documents are shown directly in the tree of the Project Explorer. You can now exchange files from one dataset to another, quickly and easily, by drag & drop and copy/paste. The files can be updated conveniently to a new version. vCDM lets you generate OBD documentation error-free from the current variant data. You can use a new editor to establish the sequence of events and their structuring in the report. vCDM automatically generates the template for the report from the editor. This eliminates the need for time-consuming manual creation of the template. Complex event properties (e.g. enable conditions) can be structured more easily via the editor. Conveniently insert placeholders for parameters. You can trace, in detail, who has frozen a dataset or executed a software change. Changes within component libraries are captured. Change tracking is also performed on ECU software and general data containers (for example release or test data containers). Change of user mode: A user who started with the intuitive and guided user mode is able to easily switch to the expert mode later. Integration with calibration tools: Direct start of vCDM functions from calibration tools CANape and INCA without having to leave vCDM. Web browser access: Easy access for external organizations and sporadic users. Integration in company applications: Integration of vCDM into company applications with the help of the COM and SOAP programming interfaces. For INCA the standardized eCDM interface is provided. Integration in CANape is highly optimized for specific features and functions of CANape and vCDM. You can download the latest software revisions of vCDM into the calibration tool and deliver calibration data into vCDM directly from the calibration tool. Web browser based access is available for limited access to calibration data. This is ideal for providing access to vCDM to external suppliers, shop areas, software developers and other occasional users. The web browser based access fulfills all usual IT security guidelines, even for communications with external organizations. Data is saved address-based in Intel-HEX or Motorola S-Record files. This form of data saving is only readable for ECUs. Data is not saved in physical notation in parameter set files. This notation is easy for calibrators to interpret. Conversion between the two notations involves the use of A2L files. The internal database model of vCDM uses the second notation to save all data ECU-independently. This enables wide-ranging analyses in a short period of time, since the data do not need to be converted from the address-based notation to a human readable form. Extensive reports can be generated within just a few seconds. They output an overview of all changes and their sources, check the consistency of variants and identify optimization potential of parameters. 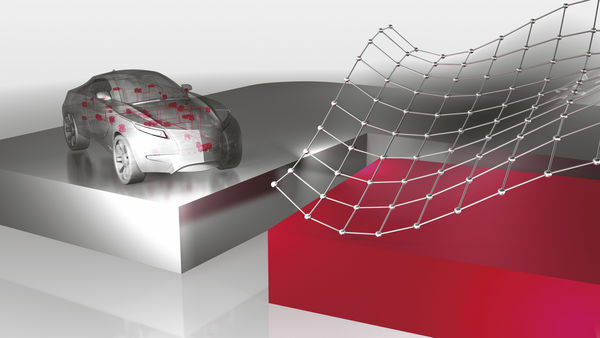 In contrast to software for measurement and calibration of ECUs, a data management solution is not a single-user based solution. Besides the user access to the PC, vCDM also consists of a server and the database. Like any business solution, vCDM requires the support of the IT department for operation and maintenance. Although the IT effort is low, major challenges in the department often arise in the competition for limited IT resources. In many cases, the result is time delays and additional, high internal costs. Small companies and departments therefore often decide not to use calibration data management – in spite of the technical advantages. The need for data management frequently emerges from the technical requirements in a project. In the classic software license model, the procurement costs for a data management solution must be paid from the project budget or the purchase must be prepared for well in advance in the budget planning. For this reason, the frequently large inefficiencies resulting from manual data management are accepted because the purchase of a calibration data management solution is not practical. Vector supports you in the use of vCDM by offering a new “Software-as-a-Service” offer. In this case, Vector provides the necessary infrastructure (hardware, software, and database) that you can subscribe to on a project-related basis. All procurement and maintenance costs are thus eliminated. All services for operation (data backup, database maintenance, and many more) are included in the subscription costs. The annual subscription costs also include one software update including data migration so that the latest product features can always be used. Vector Support is available to answer your technical questions. Your department can thus use a CDM solution quickly without effort and simultaneously has full cost transparency. A high level of data security is guaranteed through many security measures (encryption, client separation, ISO 27001). Selected globally distributed computing centers ensure fast response times. This Software-as-a-Service offer is available starting with vCDM Version 5.8 and CANape Version 15.0. OBD-II and HD OBD require extensive documentation from manufacturers for approval of new vehicle models by certification authorities. Creating it requires precise knowledge of the legal requirements, details of the implementation of the monitoring functions in the ECU, knowledge of extensive responsibilities, insight into the calibration parameters of the ECU, and much more. Besides the complexity of these tasks, correctness (of form and content) is extremely important, since there is a threat of fines for each approved vehicle. A structured process for creating OBD documentation supports manufacturers and suppliers in meeting these challenges and makes it possible to build up a knowledge base. An integrated tool like vCDM can support all the engineers involved according to their tasks and makes it possible to reuse existing knowledge in a sensible way. This leads to significant time savings and helps to reduce errors and the associated costs. Or learn more in the live webinar "Create OBD-Relevant Documentation Easily and Error-Free" on July 15. In the Vector Calibration Data Management Workshop, you become familiar with the fundamentals necessary for working with vCDM. The focus here is on the calibration process in practice. The workshop also addresses other functions of vCDM that help you to simplify your work processes.